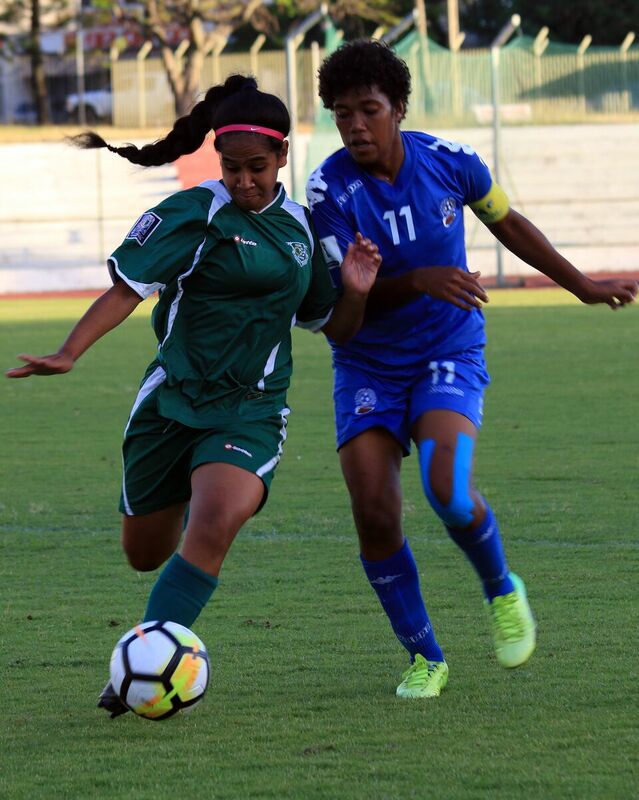 In the Oceania Football Confederation Women’s Nations Cup, Fiji defeated the Cook Islands three goals to nil. Fiji kicked off the encounter with purpose settling in early on in the opening 10 minutes against an experienced Cook Islands side. Despite the Fijians early dominance, Cook Islands captain Elizabeth Harmon had a clear sight on goal in the 5th minute with an effort which went off-target. Fiji wasted no time and scored their first two goals in the 34th and 36th minute of play. Cook Islands regrouped in the second half in search for a goal with a much-improved performance. However, it would be Fiji’s night putting the game to bed in the 57th minute when Luisa Tamanitoakula headed home a corner delivery. The Cooks had some half chances in the remaining minutes of the second half but Fiji held on to walk away with a 3-0 win at full time. Cook Islands coach Tuka Tisam said he was proud of his team’s second half performance despite the defeat. “Second was good I told them we needed to get some more chances to go forward and they executed that but unfortunately we didn’t get a goal, he said. Group B resumes on Thursday with Tonga taking on Fiji and New Zealand playing Cook Islands.